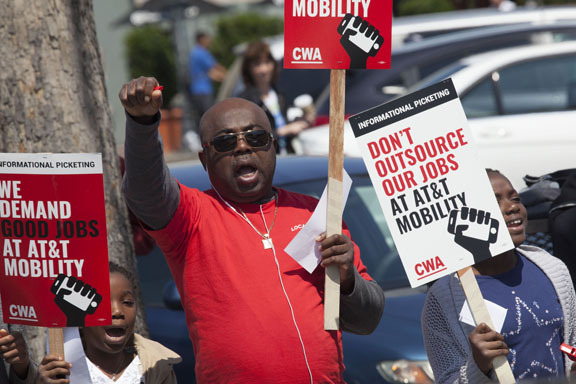 Around 40,000 members of the Communications Workers of America (CWA) at AT&T could walk off their jobs, starting Friday, for a three-day strike, as pressure continues to mount on the corporation to settle fair contracts. 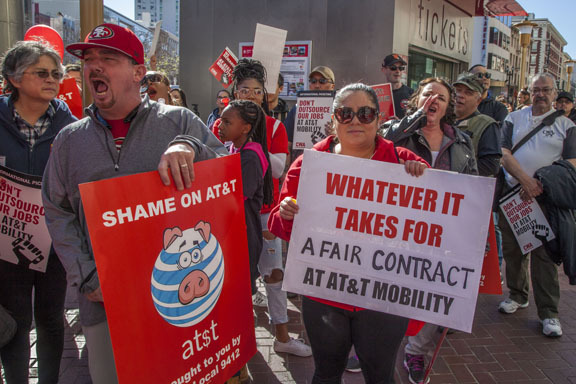 In California and Nevada, around 17,000 AT&T workers who provide phone, landline and cable services have been working without a contract for more than a year. 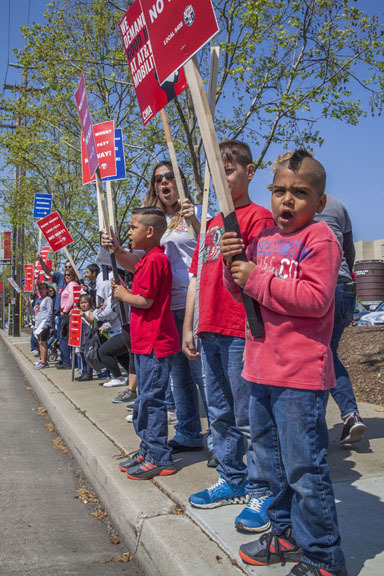 Last year, they voted to authorize a strike with more than 95 percent support. 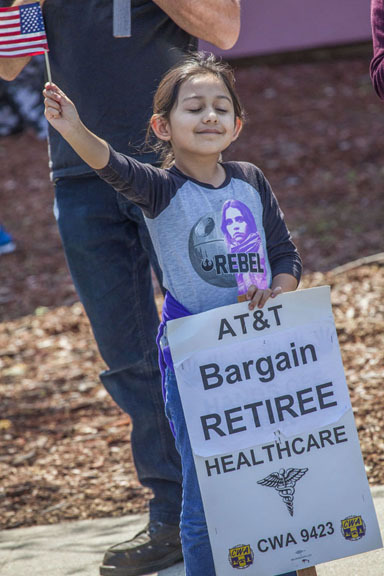 And in February, an estimated 21,000 AT&T Mobility workers in 36 states voted to strike as well, with 93 percent in favor. 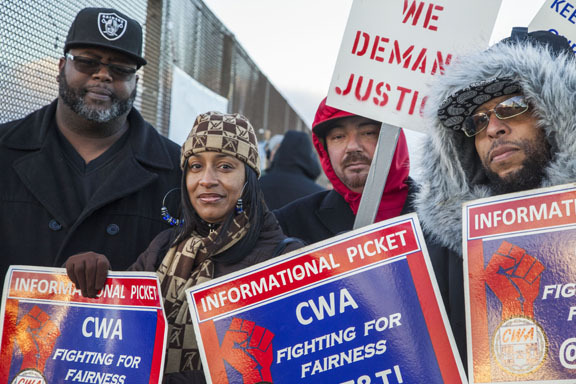 Workers have issued an ultimatum, giving company executives until 3 p.m. ET on Friday to present serious proposals—or the workers will walk. It wouldn’t be the first strike at AT&T. 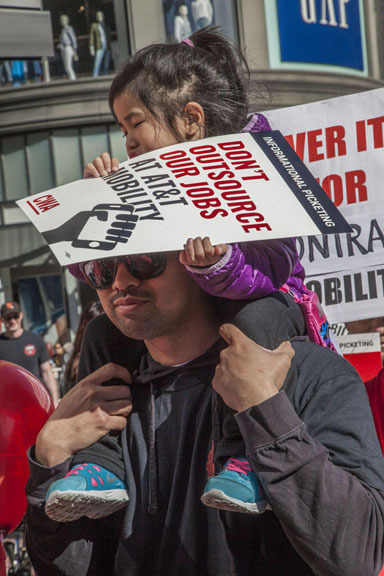 Some 17,000 workers in California and Nevada walked off the job in late March to protest company changes in their working conditions in violation of federal law. 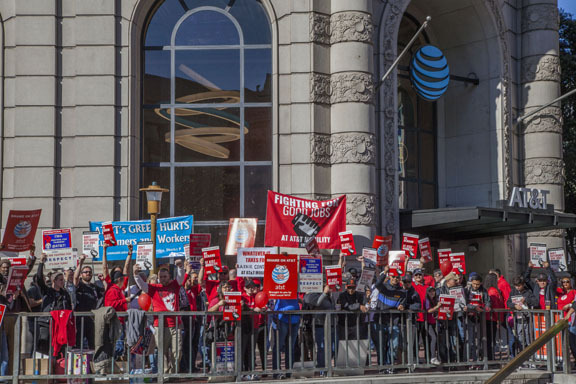 After a one-day strike, AT&T agreed not to require technicians to perform work assignments outside of their expertise. Nevertheless, the biggest issues for workers remained unresolved. AT&T is the largest telecommunications company in the country with $164 billion in sales and 135 million wireless customers nationwide. It has eliminated 12,000 call center jobs in the United States since 2011, representing more than 30 percent of its call center employees, and closed more than 30 call centers. Meanwhile, the company has outsourced the operation of more than 60 percent of its wireless retail stores to operators who pay much less than the union wage, according to CWA. The relocation of jobs to call centers in Mexico, the Philippines, the Dominican Republic and other countries is one of the main issues in negotiations. A recent CWA report charges that in the Dominican Republic, for instance, where it uses subcontractors, wages are $2.13-$2.77/hour. Workers have been trying to organize a union there and accuse management of firing union leaders and making threats, accusations and intimidating workers. Several members of Congress sent a letter to President Donald Trump this year demanding that he help protect and bring call center jobs back to the United States. 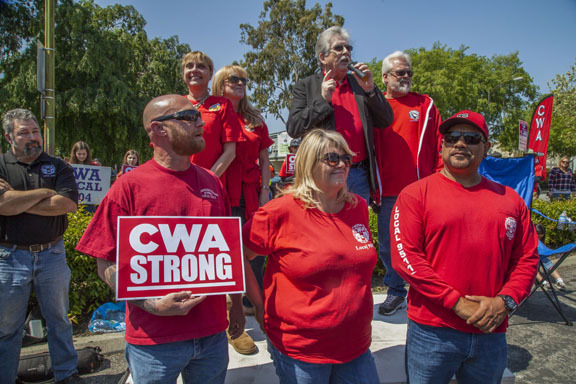 Last year, CWA members at Verizon were on strike for 49 days, finally gaining a contract with greater job protections and winning 1,300 new call center jobs. 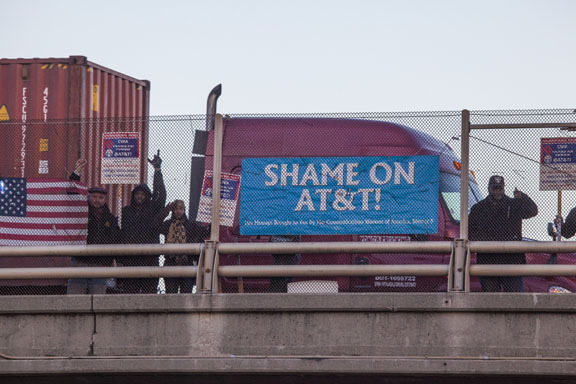 Since December, AT&T workers have picketed retail stores in San Francisco, New York, Boston, Seattle, Chicago, San Diego and other cities, hung banners on freeway overpasses, organized rallies and marches and confronted the corporation at its annual meeting in Dallas.